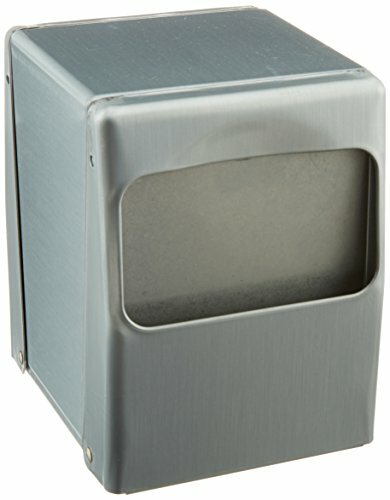 Lowfold table top napkin dispenser. 2-sided loading and dispensing. Heavy gauge steel with brushed finish. Soft rubber feet will not mat or leave marks on tabletop. Accommodates most brands of commercial folded napkin sizes. Napkin capacity: 180. Measures 4-3/4" length by 4" width by 5-1/2" height.